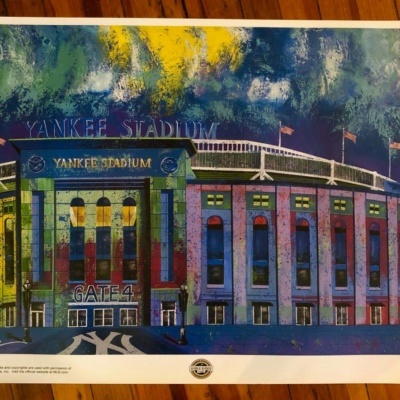 call for details 516 732-0653 about shipping/insurance costs..
Descrip: This is an AP Limited Edition Giclee on Canvas /5 made and 2 only left! 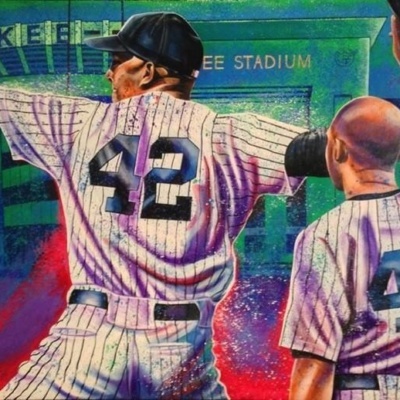 Measures 30′ x 40″ Each one hand embellished making each piece like an original and signed by renowned sports artist Bill Lopa. Gorgeous to see in person. 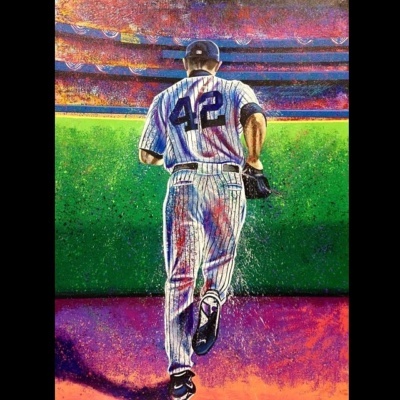 Descrip: This is a Hand Embellished Artist Recreation Giclée on Canvas /42 . 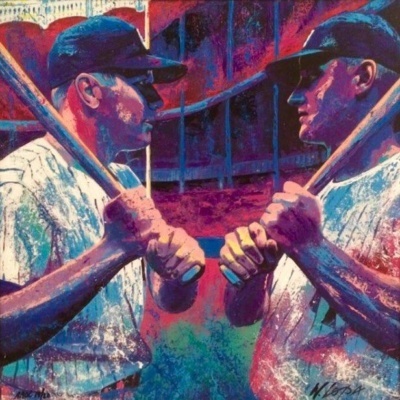 Measures 30′ x 40″ Each one hand embellished making each piece like an original and signed by renowned sports artist Bill Lopa. Gorgeous to see in person. 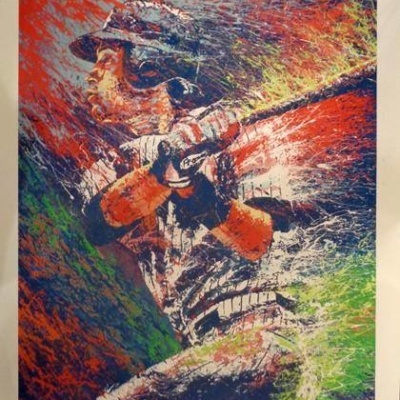 Almost Sold Out and He’s entering the HOF this year! 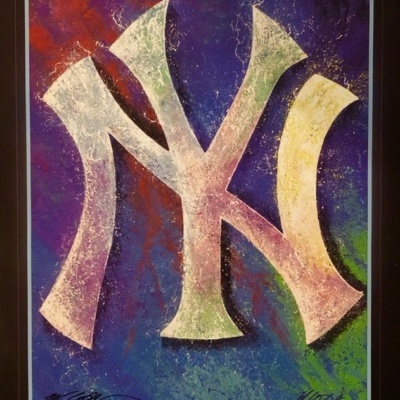 Yankee Logo by world renowned sports artist Bill lopa. 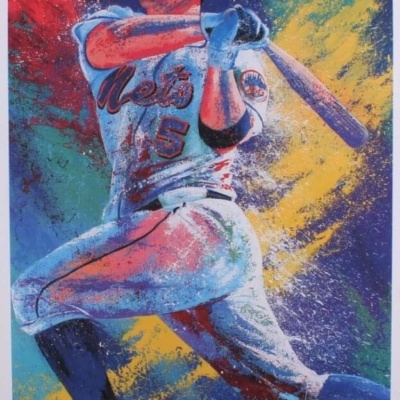 36×24 Impressionistic Style. 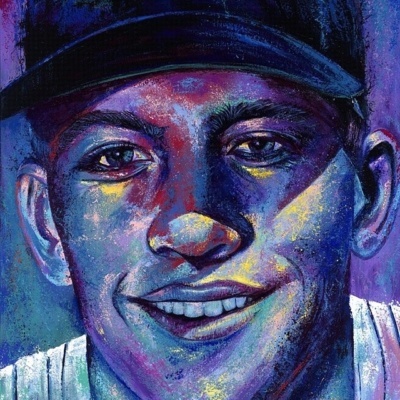 Hand signed by Bill Lopa.